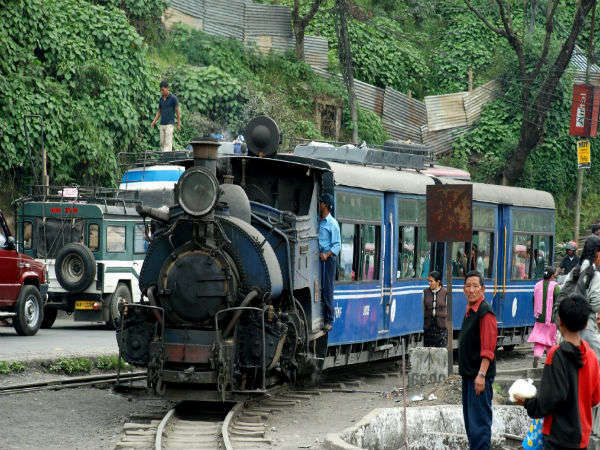 The familiar whistle of Darjeeling Himalayan Railway (DHR) is all set to reverberate once again in the mountains with the Joy Ride services scheduled to resume from Darjeeling on Saturday. "The joy ride services from Darjeeling to Ghoom and back will resume from Saturday" stated Pranab Jyoti Sharma, Chief Public Relation Officer, North East Frontier Railways. Test rides were conducted on Friday. Incidentally the Joy Rides are a hot favourite among the tourists, specially foreign tourists. Sources claim that the DHR has incurred a loss of around Rs. 2.5 Crores owing the unrest. The joy rides are 16km round trips of 2 hour duration from Darjeeling to Ghoom and back with a 10 minute halt at Batasia loop and a half hour stop at Ghoom to visit the DHR museum at Ghoom station. The cost for the steam loco joy ride is Rs. 1300 per person. For the diesel service the rates are Rs. 800 per person. "We will operate 1 diesel and 2 steam joy rides from Saturday. As per the increase in demands, the number of services will be increased. The entire stretch to tracks from Darjeeling to Sukna is being inspected. Once we find the entire stretch fit, the 88km journey from Darjeeling to New Jalpaiguri will resume" stated a Railway Officer. There are landslips at places along with thick undergrowth and weeds having affected the tracks. On October 15, joy ride services between Siliguri and Sukna in the plains had resumed. A British tourist group had also chartered a DHR train from New Jalpaiguri to Sukna. With the resurrection of the Gorkhaland agitation DHR service had come to a grinding halt since June 11. The Gorkha Janmukti Morcha as part of the Gorkhaland agitation had called for an indefinite bandh of all Government offices, both State and Central from the first week of June followed by an indefinite general strike from June 15. The bandh continued for 104 days. It was lifted on September 27. However DHR services could not resume in the Hills owing to the condition of the tracks. The Ghayabari and Sonada railway stations were also torched by agitators during the 104 days long bandh. The DHR was marked as a World Heritage site by the UNESCO on December 2, 1999.